Continuous Insulation Systems - A. L. Harding & Co. Continuous Insulation, (CI) is defined by The American Society of Heating, Refrigerating and Air-conditioning Engineers, (ASHRAE), as "insulation that is continuous across all structural members without thermal bridges other than fasteners and service openings", and has been an energy code requirement since 2007. Thermal bridging occurs when an area or component has higher thermal conductivity than the surrounding material. Building components such as steel studs are very good thermal conductors. 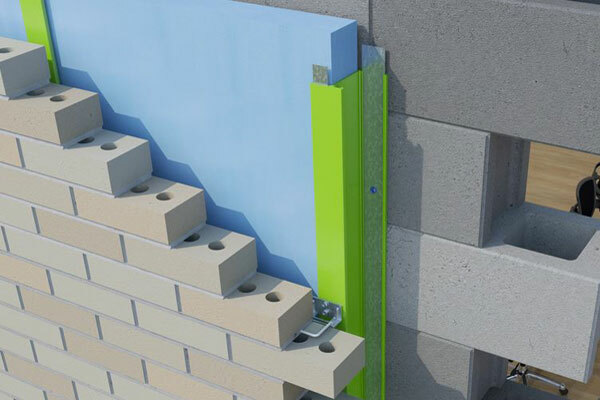 Without a layer of continuous insulation in the building envelope, a wall can lose up to half of its R-value through thermal bridging. R-value is is the measure of a building partition's resistance to heat flow through a given thickness of material. The higher the R-value the greater the insulating effectiveness. Continuous Insulation is fabricated from materials with high R-values such as Owens Corning Thermofiber RainBarrier® Rain Screen & Cavity Wall Continuous Insulation. 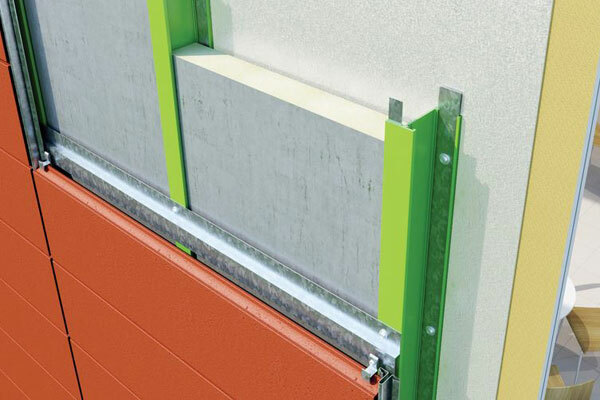 Zero thermal bridging can be accomplished with the use of proprietary sub-girt and universal cladding attachments fabricated from non-thermally conductive materials such as fiberglass reinforced plastics, (FRP), such as the SMARTci Continuous Insulation System manufactured by AAP, Advanced Architectural Products. Continuous insulation systems can dramatically reduce the cost to heat and cool a building, as well as reduce moisture damage. SMARTci Continuous Insulation System manufactured by AAP, Advanced Architectural Products is an engineered installation package made up of thermally insulated sub-girts, (Greengirt), and universal cladding attachments fabricated from fiberglass reinforced plastic,(FRP),that prevents thermal bridging that occurs with standard metal components. Greengirt is not susceptible to moisture, corrosion, or elctromechanical reactions, and can be oriented horizontally or vertically. 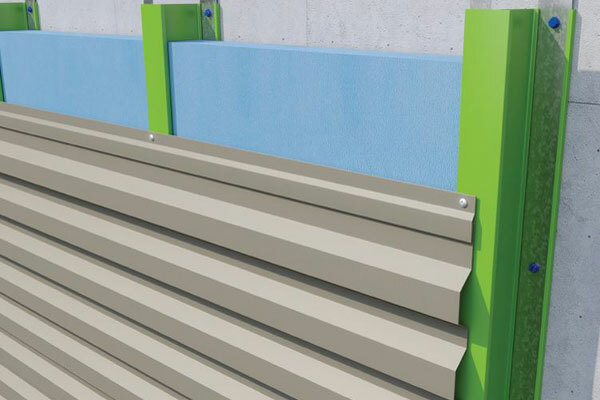 The Smartci Continuous Insulation System can be used with any cladding, insulation, or vapor permeable water resistive barrier, and is made of up of minimal components for ease of installation. Continuous insulation systems can dramatically reduce energy costs as well as reduce condensation inside walls reducing moisture damage. Why should I choose the SMARTci  Continuous Insulation System? AAP, Advanced Architectural Products based in Allegan, Michigan developed the SMARTtCi Continuous Insulation System to address the inadequacies of other continuous insulation products with the goal of making buildings more efficient. 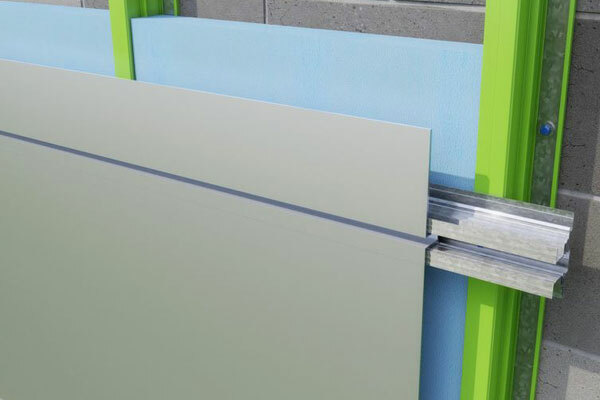 The SMARTci  Continuous Insulation System is the first continuous insulation system to achieve zero thermal bridging, making it superior to other continuous insulation systems, drastically reducing energy costs. SMARTci  Systems Inc. can work with system designers to determine the actual wall assembly values and optimum construction. With many manufacturer's to choose from, the most important thing to consider is who will you be working with? The role of manufacturer's representative is crucial in being the liaison between the customer and the continuous insulation system manufacturer. Are they knowledgeable, responsive, and dedicated to your project? To get started on a project or learn more about continuous insulation systems, give us a call at 724-745-3001, or CLICK HERE to send us a message.